With the Rumpler ticket, an offer which is especially for tourers and particularly good value, enables you to make use, in addition to the Dachstein Krippenstein cable car, also of the lifts on the glacier. and also a trip up to the Dachstein Glacier with the Mitterstein double chairlift and the Schladminger Glacier lift. 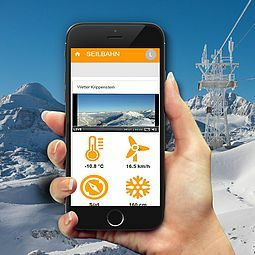 We advise all ski tour fans, who are donning their furs for the first time at Krippenstein-Dachstein, to be taken safely through the mountains by ski tour guide. Expert partners: Outdoor Leadership and Laserer Alpin. From Krippenstein mountain station all the ski tour options in the Dachstein plateau open up. From a relaxing half-day tour, e.g. to Wiesberghaus to multi-day ski toursfor exemple to the Simonyhütte or Rumpler tour, your fitness alone is the limiting factor!